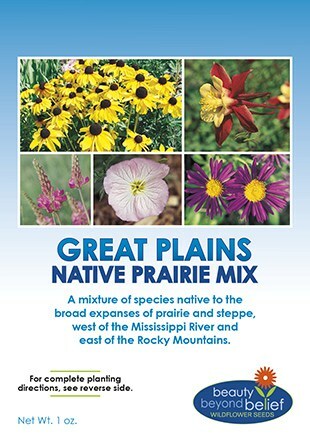 This is a mixture of flowers that do well in the Great Plains, the broad expanses of prairie and steppe west of the Mississippi River and east of the Rocky Mountains. 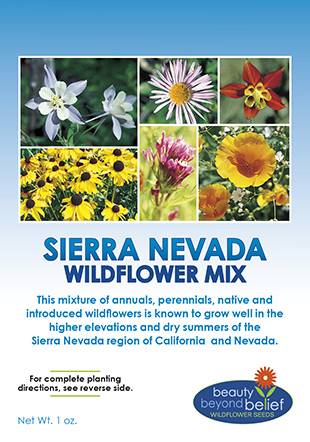 It is a blend of annuals and perennials of mixed heights. 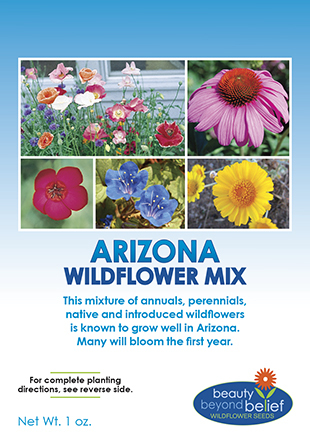 Most will need two to three years to gain full bloom, although some will likely burst forth with color the first season. For a ‘prairie meadow’ effect you might want to mix a few native grasses with this seed. The ideal time to plant is very early spring, or very late fall; planting in mid to late summer is not recommended.